Almost every citizen of our country is concerned about the development of our nation. I am not an exception and I want to tackle this broad subject of country's development. It's too big a task to be accomplished by a single person and we all need to realize this fact as the first step towards our patriotic goal. Therefore, we need to forget for a moment that we want to develop Nepal. Then think. What are the ways in which I can contribute to my country? Think with "I" mindset, not "We" mindset. This is really important. If we think as "We" then you'll not feel responsible enough. Work in team, but think in isolation. I think this is the right strategy for us now. I am a prospective entrepreneur. It could seem biased for me to say that well, entrepreneurship is the real way to develop Nepal, but it isn't. That's because, entrepreneurship is not restricted to doing your own business creatively. It is understandable that everyone cannot become businessperson. However, entrepreneurship, in loose terms, encompasses doing things differently with aim of improving in what we are doing. We can improve the process, or the outcome or any other aspect of our work. But we do need to seek improvement in every possible way. And that is an entrepreneurship that every patriotic citizen can do for her nation. 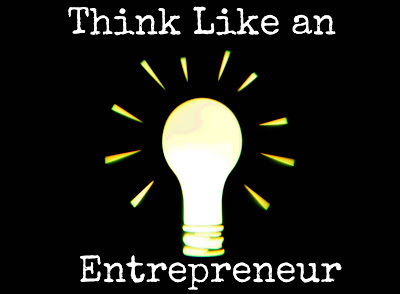 Entrepreneurial mindset is obsessed about thinking differently with the motive to grow! It is not necessary to start a business to take advantage of such a mindset. You can bring about a lot of change and development without requiring money (in significant amount). For instance, we all are obsessed with developing Nepal. Let's say we accomplished the goal and our nation's GDP per capita income rose in par with that of developed nations. What next then? Can we sit back and relax? Can we be totally happy and satisfied? Or will we still seek some kind of improvement in some area of our life? What kind of improvement might we seek after achieving material prosperity? These are some of the questions which we can think of in advance and even get a tentative answer by seeing examples from the developed nation. But I would like to keep these questions open for you to wonder, rather than trying to become an omniscient person giving answer to everything. A few things in which we can grow (and hence enjoy our life) without much development are: trying to better manage, and better utilize what we already have. For instance, we can be more active (not lazy) and start using environment friendly bags for shopping instead of using plastic bags. We can utilize our old redundant clothes to make items of alternative use like pillows, cushions and dolls. (This is known as recycling.) Now think of how many types of redundant things you have and in how many ways you can recycle them and bring them into alternative use! Literally, think for a while. These are some of the direct benefits of the entrepreneurship to the country. Indirectly, entrepreneurial culture creates a good investment climate, creates a platform for prospective entrepreneurs and creatives to explore and exploit their ideas, and helps in the overall economy of the country. So, I see entrepreneurship very promising to the country. However, it is upon us to drive it in the right direction and take advantage of this emerging concept.